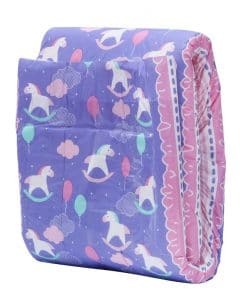 • Vibrant, all-purple rocking horse design… printed all over! 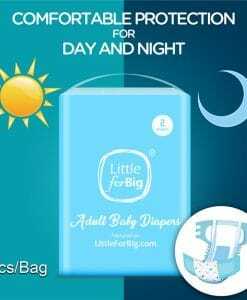 LittleForBig diapers are thick and fluffy! 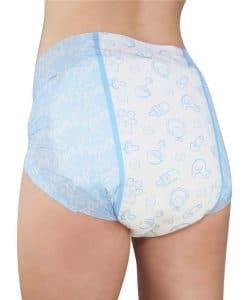 Comparable to the thickest diapers on the ABDL market. 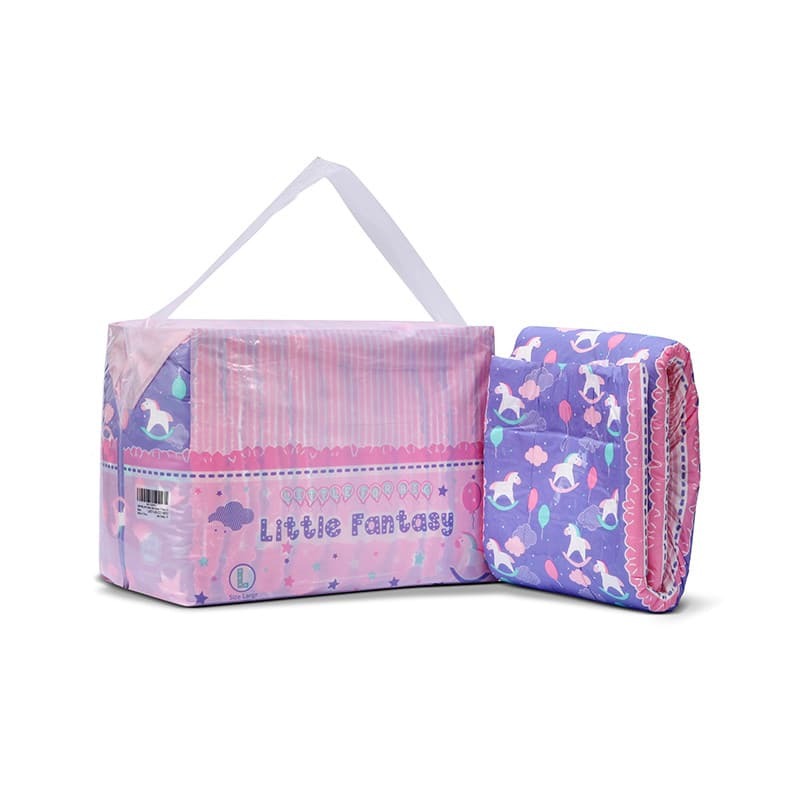 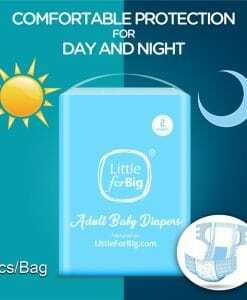 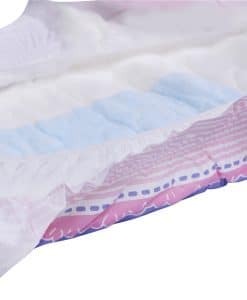 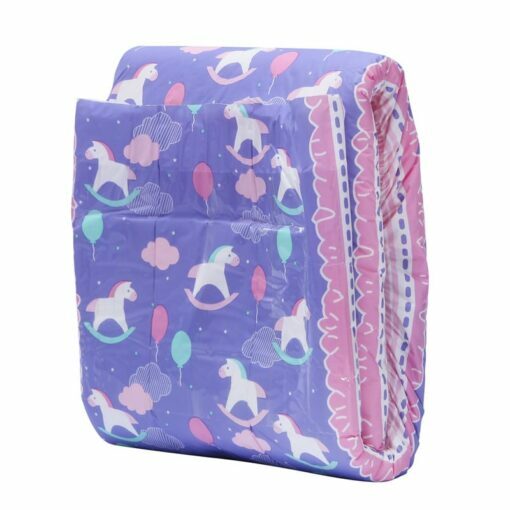 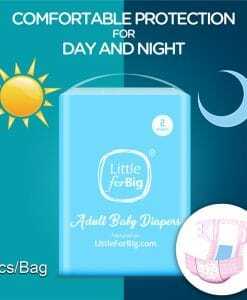 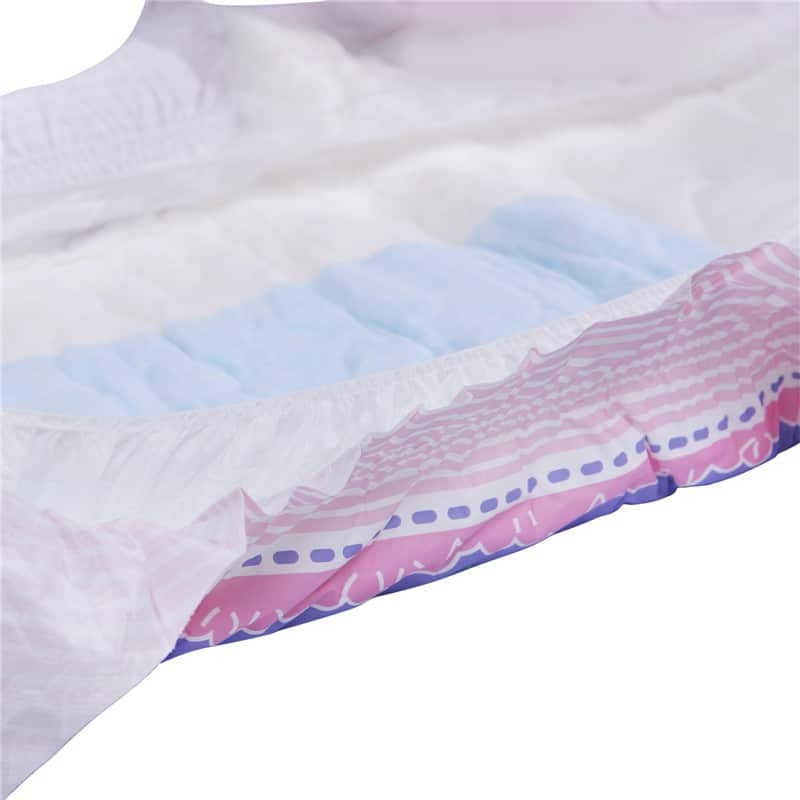  Strong plastic backing on the outside of LittleForBig diapers ensures confident security while the ultra-soft cloth-like fluffy padding on the inside is designed specifically for comfort. 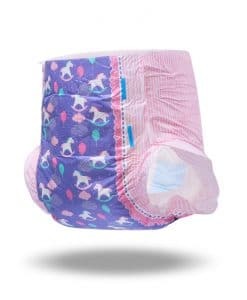  Inside the diaper, soft inner standing guards help prevent any leaky accidents while the quick absorbency core works to keep baby’s sensitive skin nice and dry. 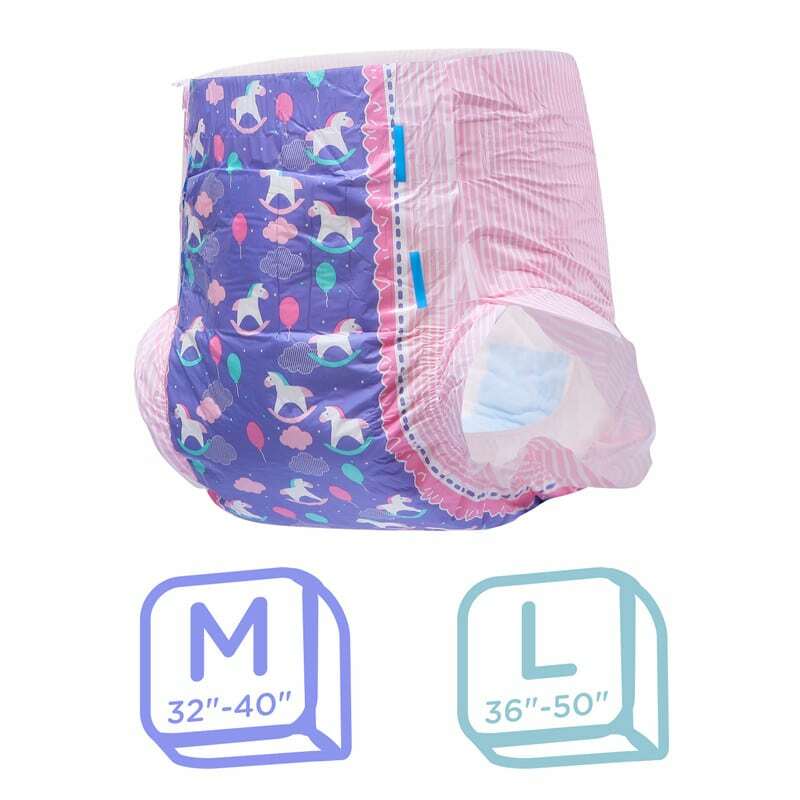  Four snugs, baby-hugging tapes keep the diaper safe and secure to the front panel, which is reinforced with plastic to allow for tape readjusting to get that perfect fit! 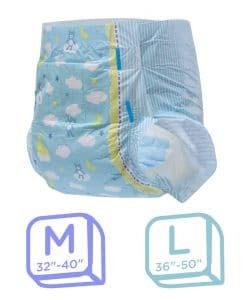 Likewise, our stretchy leg gathers ensure that all that extra thick padding fits comfortably between baby’s legs. 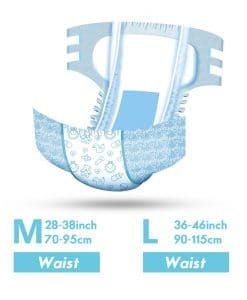  Why grow up? 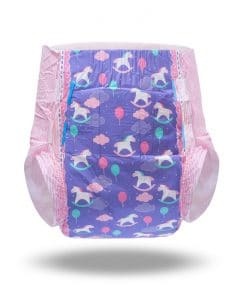 Be a little big kid forever in LittleForBig’s soft pastel-colored Little Fantasy diaper. 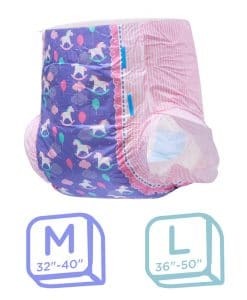  The racking horse design, with its striped contouring, is too ‘baby’ for words! Available sizes small (M) through Large (L). 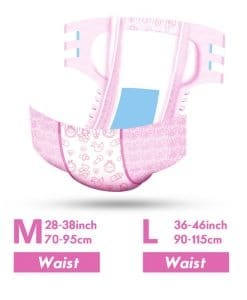 PLEASE TAKE THE TIME TO MEASURE FOR YOUR SIZE.